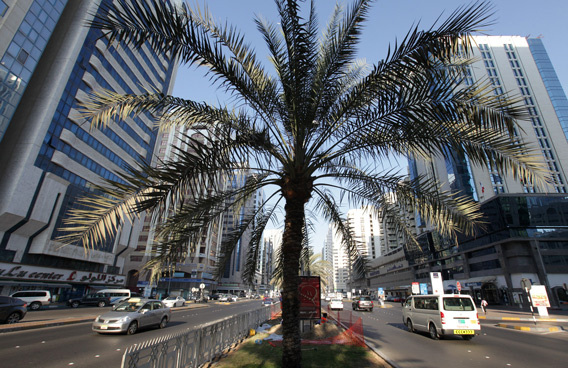 Dubai-based Nakheel has lowered rents in The Gardens by 15 to 20 per cent since December 2010 after chiller charges rose massively by almost 150 per cent in November. According to the new rental structure issued by the master developer, rentals for one bedroom (mod) are now fixed at Dh34,200 per annum if the tenant pays in one cheque, compared with Dh40,500 per annum it was asking for in October 2011. Those paying in six cheques, however, will have to shell out Dh38,000 per annum compared with the earlier Dh45,000. Chiller charges, which were fixed at Dh250 pm (Dh3,000 pa) to be paid by the tenant in 12 monthly installment to Dewa have been raised to Dh621 per month, an increase of over 148 per cent. One bedroom (high) is now being rented for Dh36,000 pa compared to Dh45,000 pa in one chque and Dh40000 pa (Dh50,000 pa) if paid in six cheques. Chiller charges per month were increased to Dh716 from Dh267, registering a 168 per cent hike. Two bedroom (mod and high) units are being leased for Dh45,000 pa and Dh50,000 pa compared to Dh58,500 pa and Dh65,000 pa. Chiller charges have been raised to Dh886 pm from Dh333 pm (166 per cent increase) and Dh989 pm from Dh367 pm (169 per cent), respectively. Rental for three bedroom apartments remain at Dh72,000 pa if paid in one cheque and Dh80,000 for six cheques. New chiller charges will be Dh1,262 per month compared from Dh475 per month, an increase of 166 per cent. Nakheel has also slashed it leasing charges by 50 per cent to 2.5 per cent of annual base rent. 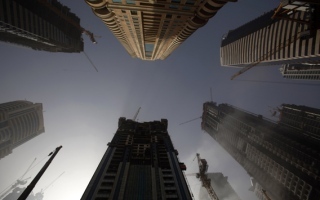 Tenants will now have to pay Dh170 for Rera contract registration fees for lease renewals and new leases. In a statement sent to ‘Emirates 24|7’, Nakheel said: “With effect from November 1, 2011 Nakheel has increased the cooling charges at The Gardens based on the approval from the Supreme Council of Energy. The cooling rate we were using before was set as long ago as 2002 and the cost of electrical power and water have risen substantially and we find that in the current economic climate we are no longer able to continue to subsidize the rates as we have been doing until November 2011. “Moreover, in January 2011, the Govt. of Dubai announced a further increase to the tariff charged to the district cooling companies. We explained the same in the circular we issued to all the tenants in the Gardens. Also, Clause 5(g) of the lease agreement indicates that the tenant is liable to pay for such changes in the rates/charges levied by the relevant authorities,” it added. SK, an Indian expat, who has been staying in a two bedroom apartment in The Gardens for the past five years, admitted that he was not aware of the new rents. “We haven’t been informed of any rent reduction. We just got this circular on the increased chiller charges. I believe the new rent structure is for new tenants only,” he added.